Unlock Sony Ericsson Xperia Acro DoCoMo SO-02C - Safe IMEI Unlocking Codes for You! Unlock Sony Xperia Acro DoCoMo SO-02C Handset! In case your Xperia Acro DoCoMo SO-02C doesn't ask for the code and there is no designated field to enter it, please DON'T PLACE ANY ORDER, contact us first for support. Unlocking handsets is easy with us, and unlike other procedures, it’s quick, effortless and hassle free. On top of that, if you follow the instructions, it’s 100% guaranteed to work, or your money back! After the 16 digit network code has been sent to you along with step-by-step instructions, you’ll be on your way to unlocking your Xperia Acro in just 2 minutes! Not looking to unlock the Acro? 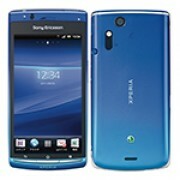 Our codes work for dozens of other Sony Ericsson handsets. Unlocking with us will not only be quicker- it will be cheaper too. Network carriers charge up to $50 for an unlock code, and this can make it hard to get the flexibility that is earned from having a unlocked handset. We’ve made easy-to-follow instructions that can be read below. 1. Find the IMEI number - this can be found underneath the battery on a sticker, or by dialing *#06# on the dial screen. To unlock this we’ll need the first 15 digits. We support the cost of each IMEI we attempt to unlock so please enter details correctly when placing an order. Before starting the order, there is one thing you’ll need to check. Some handsets become hardlocked from excessive failed attempts at unlocking. If you’ve frantically tried entering codes in the hope to unlock your phone, or have bought it second hand, you may have a hardlocked device, and we cannot help with that. Please make sure to check before placing an order. The numbers will represent your unlock attempts remaining, if your network is at 0, unfortunately your handset is hardlocked and there is nothing we can do. If it isn’t hardlocked, you’ll be able to follow the next steps to get unlocked! How to Unlock Sony Xperia Acro DoCoMo SO-02C Phone - Tutorial! Now you can check pricing and availability and proceed to checkout. Once you have your code, to unlock your Acro you will need to insert a non-accepted SIM card and then turn on your phone. A page should show asking for an unlock code - enter it here, and your phone will become unlocked! Not seeing an unlock screen? Contact us for help. Can you help me with my handset its from spain.